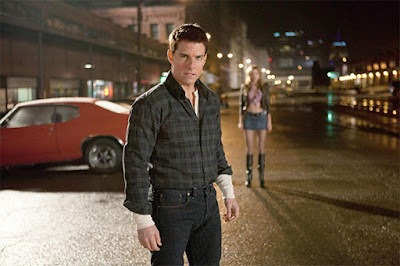 The Jack Reacher films were always a weird fit for Tom Cruise. Created by author Lee Child, the bruising former military man is described as being 6'5"and barrel-chested with fists the size of dinner plates. Cruise is a lot of things, but no matter how well you shoot him from a low angle he's never going to stop being the guy who made Nicole Kidman look like a skyscraper. The movies themselves were perfectly fine and did okay at the box office, but it seems their time on the big screen is done, and probably also Cruise's time as Reacher. Plans for a Jack Reacher TV series have been confirmed by Business Insider, but they say Cruise is still very much involved. Doubtful he'll be appearing in an on-screen role but perhaps as an exec-producer?